Years ago, I completed my bachelor's degree in aerospace engineering. Back then, the fastest computers that I had ready access to was my Commodore 64 and of course my HP-4-CV. I used my C64 to work on a rocket staging assignment for in my senior year. 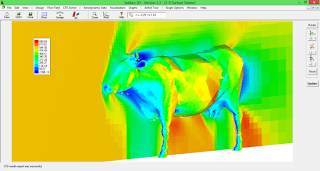 I wrote a partial differential solution (heat equation) for the CV. 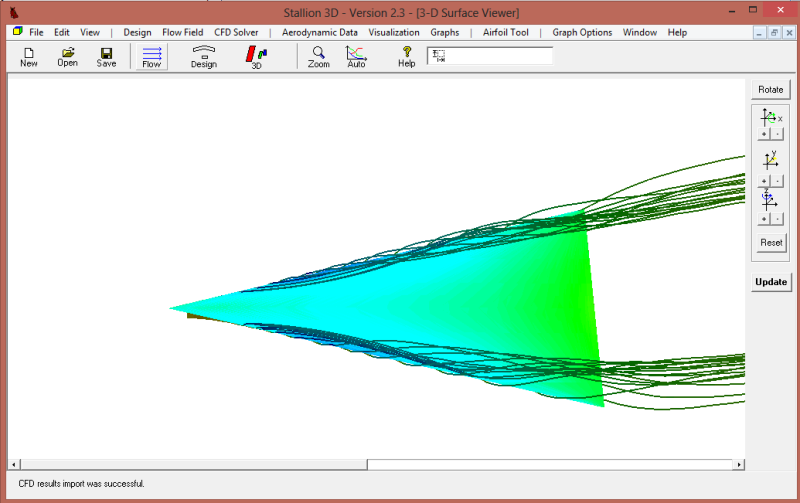 NASA BWB Concept at v=290 m/s. Stl file from NASA OpenVSP. Today, personal computers, laptops and even phones are extremely fast. However, engineering student are forced to limit exciting design projects such as passenger jets and futuristic supersonic transports to the conceptual design phase of subsonic flight. The main reason for this is that current analysis tools such as CFD software can take too long for students to master over one or two semesters when faced with additional obligations such as non-engineering courses, part time jobs and other graduation requirements. Aerospace engineering should be fun (because it is). A quick and easy tool can help students design and analyze (on their own) race cars, jets, UAVs, and other vehicles. 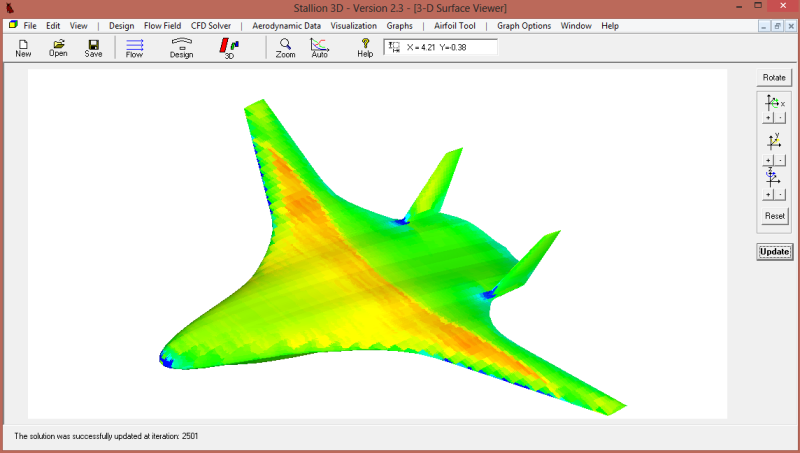 It can help them to determine how delta wings of various shapes work at different angles of attack and even at supersonic speeds. AR=2, 100 m/s at 25 deg. angle of attack (pressure). AR=1, 100 m/s at 25 deg. angle of attack (pressure). 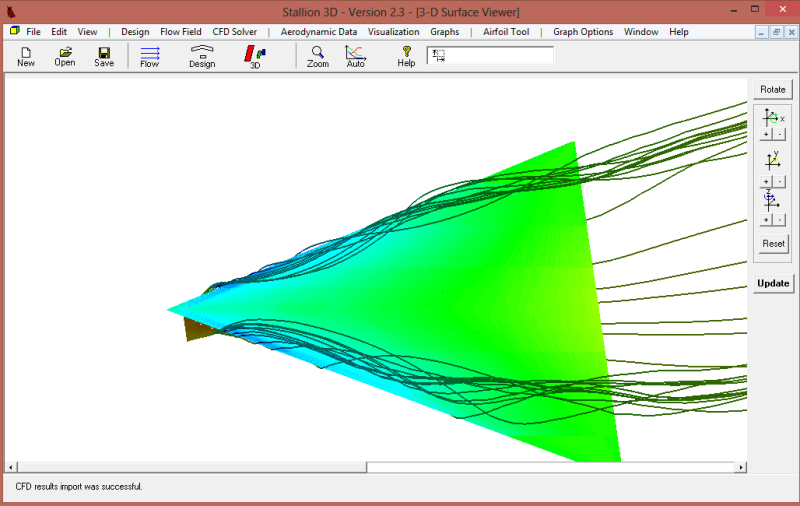 AR 2, 670 m/s, 25 deg angle of attack (pressure). 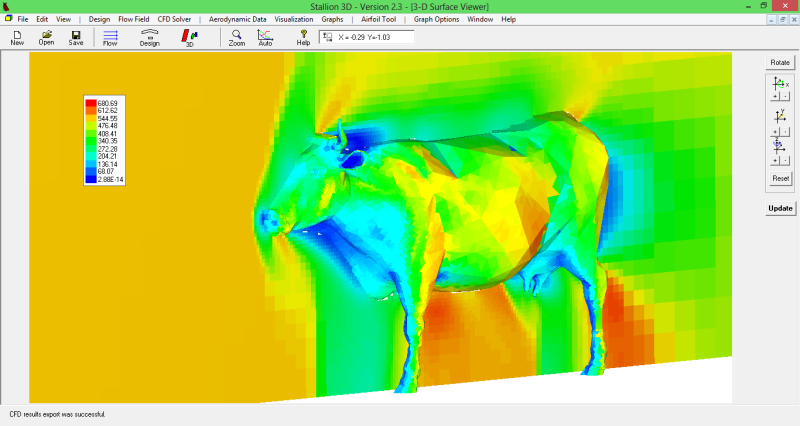 Over the last few years, we developed a few computer programs to help students get more out of their design projects. The latest of these programs is Stallion 3D. Even with time constraints, students can use their personal computers to take designs to the next speed. 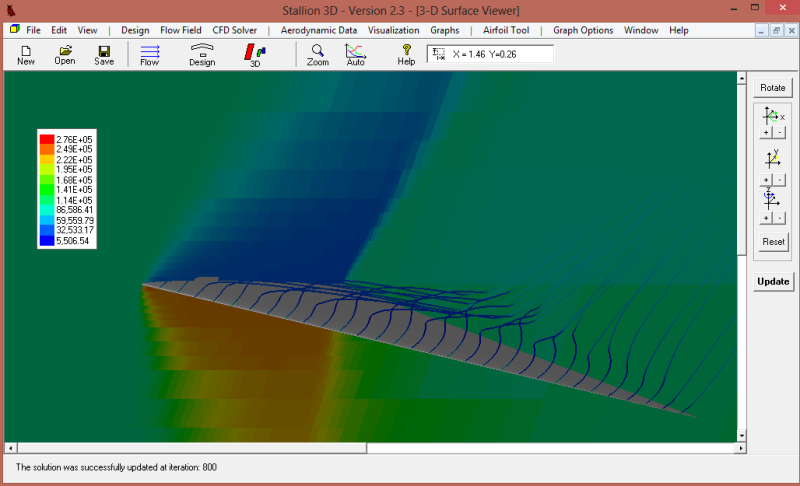 Using Stallion 3D, it only takes about one minute to setup a jet for analysis on a laptop computer. The analysis can be completed (about 6 hours for 500K cells) while they use their computer for other assignments or get valuable sleep. Stallion 3D works well with other tools available to the student (suchs as NASA's OpenVSP). The following video shows how the two can work together. 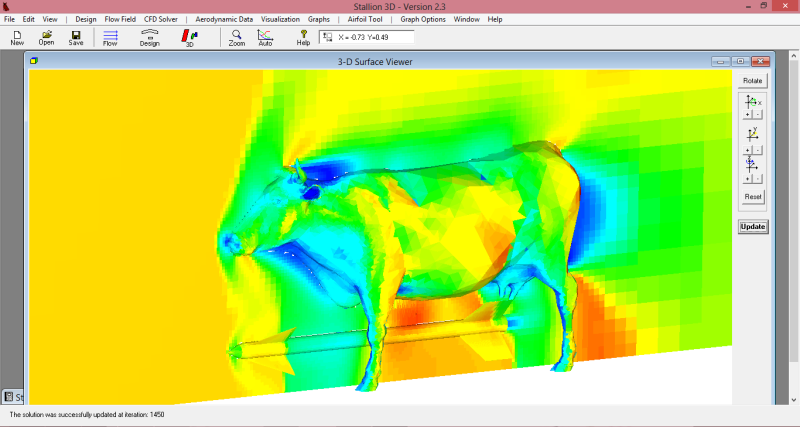 The whole idea of Stallion 3D is to accelerate aerospace engineering education to any speed or at least to move as fast as a cow. For additional results, visit (Like) our Facebook page at https://www.facebook.com/hanleyinnovations.